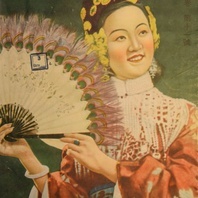 Cover of the New China Pictorial for May 1944. 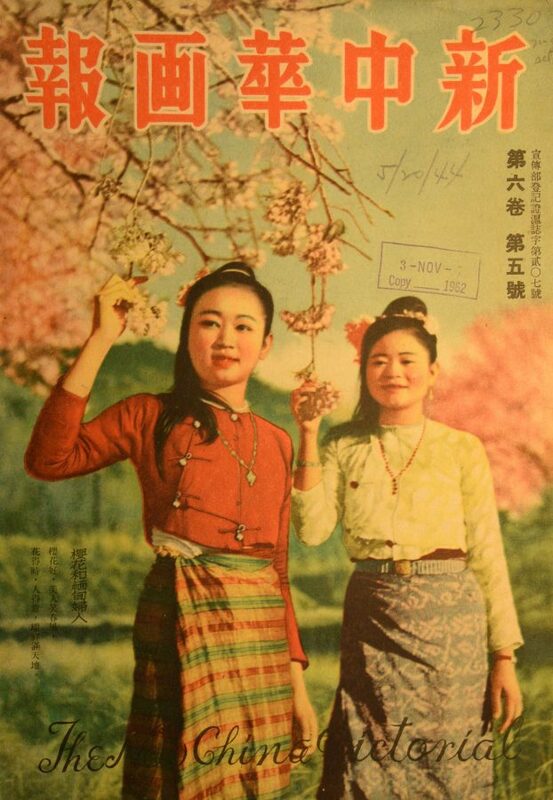 This cover image from the Xin Zhonghua huabao (New China Pictorial) 6.5 (May 1944) shows a photograph of two unnamed Burmese women. 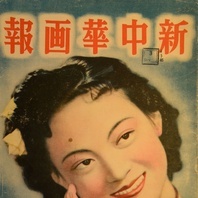 The New China Pictorial was a bilingual (Chinese-English) magazine published from 1939 through 1944 in Shanghai by the occupation journalist Wu Linzhi for distribution in China and throughout Southeast Asia. 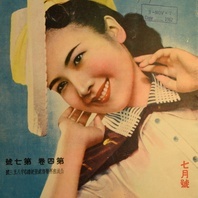 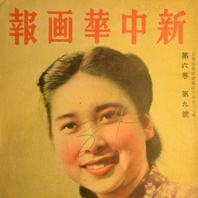 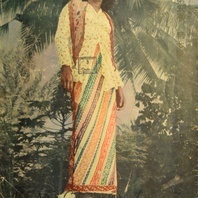 This magazine employed cover images of women from areas of Southeast Asia that had been conquered by Japan with increasing regularity over the course of 1943 and 1944, having previously focused on Chinese film celebrities.